Orders for this item by take 5 business days to ship. Love our foonfs. Easy to install and so secure feeling. I also love the premium fabrics. So much easier to keep clean. Worth the upgrade. ProsSteel reinforced, easy to clean, slim. very comfortable, sturdy, and fits my car perfectly. would highly recommend this. S?per secure and safe and comfy! We have owned a foonf for the last couple years for my other son and have loved it! We always had him forward facing since he got it when he was almost 3, but the rear facing for our younger son is great as well! I like that he sits up higher so itâ€™s essy to get him out. I cannot stress how safe this car seat is! My husband said it wasnâ€™t too hard to install and the directions are easy to follow. Itâ€™s an investment, but a worthy one!! The Foonf is sold and sturdy- I feel that my kids are safer in this car seat than others we've purchased in the past. It came highly recommended by a car seat expert in our area. Husband was able to install. So solid and secure, and easy to use. These car seats are worth every penny. This is my second Clek Foonf. I love these car seats. They weigh a ton but are top rated for safety. Well made and looks great. Easy to clean, heavy, sturdy. One of the few to fit 3 across in our Odyssey. Pretty easy to install, tighten, etc. Just a pain to move, so it's not one of those seats that is amenable to swapping in and out of cars easily/quickly. Otherwise, we love these seats! 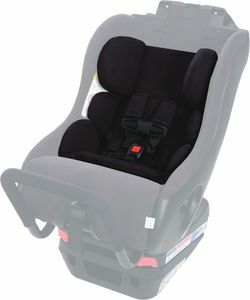 This safety seat is very nice and easy to clean, with no disadvantages other than being heavy. My toddler loves this car seat. It feels sturdy and it is easy to buckle/unbuckle, unlike some other car seats. The fabric/color is beautiful. The only con is that it is very heavy, so it is not easy to transfer or travel with it. We have the 2016 version, and this one has only gotten better! Sturdy seat, great color combo, and my kid loves sitting in it. Item is awesome. Shipped in about 7 days. Item needs to be behind driver because otherwise canâ€™t see through passenger rear window. Very tall car seat!! I would buy it a thousand times over. I adore this seat. It just works. It's sturdy and safe and sleek, and it never complicates my life. The fabric cleans easily with the Clek cleaning kit, and I love not having to take the seat apart to wash a cover. My 29 pound 2 year-old rear faces comfortably. He loves that he can see out the windows and the rear glass. I know this because he tells me every. single. thing. that he sees. I also love that Clek has a crash-tested seat protector. The weight of the seat was leaving impressions in my car's leather upholstery, but I wouldn't risk safety for something so frivolous. We ordered the Clek seat protector, and it's doing a great job protecting the leather without interfering with a very secure installation (that sucker does not budge). Clek makes a great seat. They alsohave good customer service, and replaced a cover for me after testing showed it had a chemical in it that was not intended. I've bought 2 seats from Albee now without any problems. Best UsesBest seat for everyday. This car seat arrived in time. It's easy to install and I like the fact that it can be installed both rare facing and forward facing. My son seems to be so comfortable and happy as he can see out the window. ProsSafe, sturdy, narrow and comfortable. ConsHeavy for one person to assemble and install. Take your time with the installation and read the manual before you dive in. It's straightforward but you don't want to miss anything. Baby is very happy in the seat. It's helpful that it sits so high, makes it easier to get her in and out of the seat. Built like a tank. Just graduated from the Nuna Pipa. Heavy but secure so not good to travel with it love between cars. Looks modern and sleek.Kids say very comfortable and sits high so toddler can finally see out window. Fits narrow so can get 3 across in 2017 Subaru Outback. I love this seat! So easy to install and I know itEtms weird to say this about a car seat but itEtms so pretty! Perfect transition from our infant carrier. Great carseat - worth the price! I love this carseat. 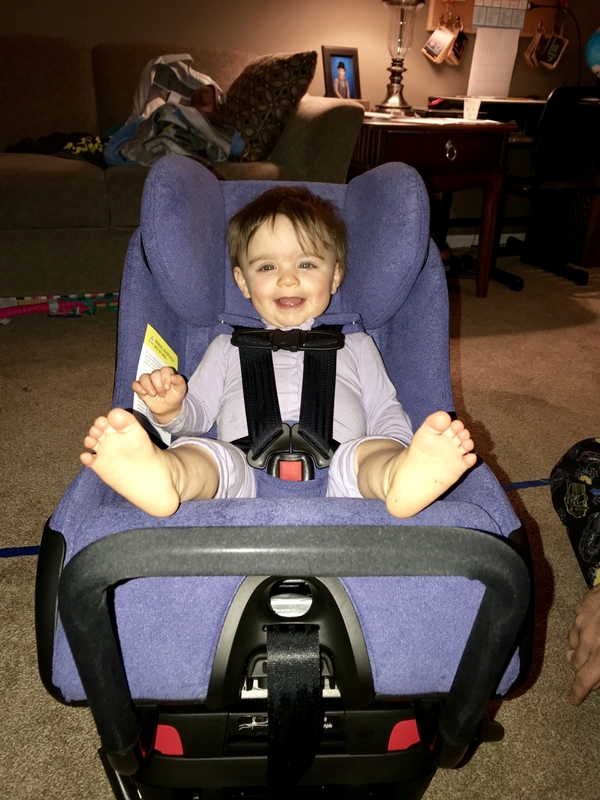 It had been recommended to me from several friends for the safety ratings it receives, and also for being much narrower than many other carseats. This was easy to install, though it is definitely heavy. The fabric is so soft and I love how my room my son has to grow in this carseat. I definitely recommend this carseat! Before purchasing a carseat for our large 10 month old baby we researched for 2 months. This car seat far outshined any other that we looked at on the market. From the fabric to the design we were impressed. Once we got the carseat (delivered) we were in awe of how sturdy and sound this seat was. I'll admit though it is heavy so if that is a problem going with the Fllo would be in one's best interest. The color is awesome, the construction is fantastic and our son loves his new seat. I have already recommended this seat to a couple of friends with small ones and will continue to do so. We love this seat. It's very small and very heavy, Amazing seat. Easier to install than I thought it would be. Super easy to wipe off and clean, much thinner profile then other carseats we've had, and I feel like my kids are very well protected. Clek products are truly worth the money. High quality materials, beautiful designs and easy to use. They are extremely heavy though, so if you need to travel with them be sure to purchase a trolley to carry them with ease. Highly recommend this product. We actually have 2 clek foonfs! One in my husband's car and one in mine. We previously had another convertible car seat that our son hated and we had to return. This one gives me the piece of mind that he's in the safest one on the market and is super comfortable to boot! Easy care fabric, sleek styling, and the full steel construction had me sold. Love this color also! Love it even more that we got it on sale once they came out with the 2018 model. We have four car seats: two Clek Foonf , one britax, and one maxin-cosi .My daughter and i love Foonf better. Well worth the extra money for the design! We are in Texas. Compared to other car seats, this one is cooler. S The straps adjust nice and easy, My daughter loves this seat a lot more as she is sitting much higher and can see a lot better. Incedibly well made and well thought out design, heavey, quality, & safe. 1st ride included puke, but cleaned up very easily. I originally purchased a Britax convertible car seat in my Ford Explorer. I was all set to go until I looked up how to install it with inflatable seat belts and realized that most car seats aren't compatible. I researched all of the options which led me to Clek and the Foonf and am glad I made the switch, even if I didn't have inflatable seat belts. This is simply the safest, most well made car seat in the market. I originally wanted to go with the cool Tokidoki version but my wife wouldn't go for it but all of the other options look good too. Make sure you look into the differences in installation if you have inflatable car seats. This car seat is great! We have been using the Clek 2015 Foonf for our older daughter and it's solid, which is why we chose to get the 2017 version for our second daughter. It is comfortable and it allows the kids to sit high enough to see out the window. "The Car Seat Lady" actually recommended this particular car seat due to it's high safety ratings. I would definitely recommend this car seat to anyone who wants a piece of mind when traveling knowing that your child is in a safe care seat. Best car seat- worth every penny!!! This car seat is so sturdy when installed correctly. My kids love it, the pediatrician loves and so do I.
I bought this car seat for a growing toddler. We have the peg perego and hands down this car seat is solid. The fabric is soft and plush. It was a bit of a challenge to ensure the right fit, that would be the only con. It has good weight to it, so its not a car seat that you want to move in and out of cars. I wasnt sure it was going to be worth the money, but it really is. We purchased this car seat 3 years ago by the recommendation from "The Car Seat Lady". We met her in person and she recommended it due to it being super safe and fitting in our car. She even showed us and helped us install it. Our 3 year old has been using it for about 2 years now and it has held up very well. She's still rear facing and seems comfortable in that position even though her legs are a little long. The "shadow" color is great because it hides all the spills and accidents that have happened. It's also easy to clean. If you want a heavy duty, safe car seat, then I would definitely recommend the Clek Foonf. We are thrilled to have this car seat as it is much for sturdy than our previous one. It also gives me great peace of mind that it is free of the top 5 harmful chemicals found in other car seats. Thank you Clek and thank you Albee Baby for the wonderful price. ProsSits the kids higher up so they can see. ConsThe latch is a little tricky but we are getting used to it. I feel so good having my children in the Clek. It is heavy and sturdy and our 3 year old loves it because it sits her up high so she can better see out of the window. Albee was great - best price for sure and fast shipping. Best UsesWe can fit two of these in our Toyota RAV-4. 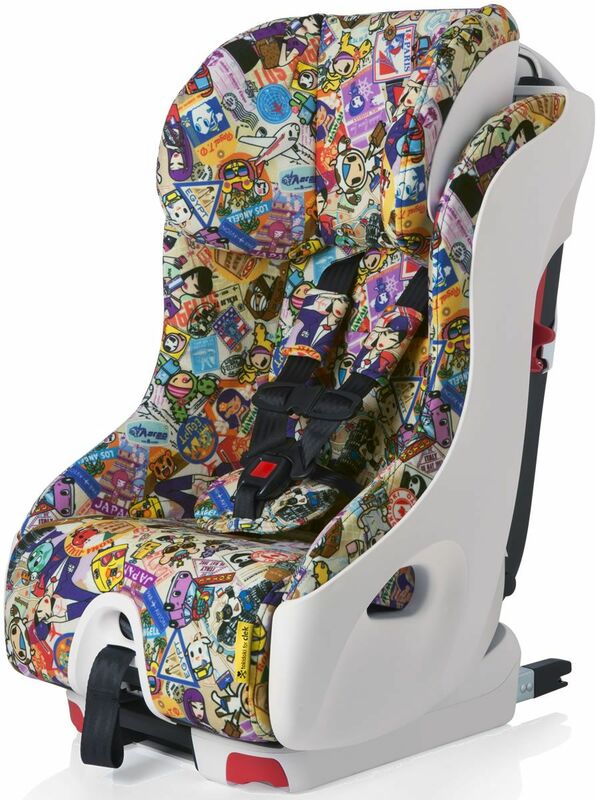 This is the prettiest car seat we have seen so far, and it is also said to be the safest one. Our daughter loves sitting in it. This carseat is built like a tank. I have a four year old in one forward facing and a toddler rear facing. I love the recline feature, I love how roomy the carseat seems, how comfy it is for my kids, and how well protected my kids are riding in the car. But I love it so far. I have been putting my 10 mo. old in it in the house so that she can get used to it when I switch her out of her current car seat. She seems to love it so far. The color is vibrant! I feel that she will be very safe in this seat .. i did a ton of research before the purchase. It is heavy, but I am sure the weight is comparable to most car seats on the market. The Clek Foonf is by far my favorite carseat. Its heavy, has a retractable rigid latch system, is super easy to install, is super slim so it fits 3 side by side in my car but it doesnt compromise the amount of room the kids have in their own seats. Down side about this particular 1 is that the seat fabric isnt as soft as the other 1s I have for my other children. Also the bottom harness latch doesnt allow much room for thicker legs or fuller bottoms. The cover also just slides off so you have to adjust it every single time your child gets in the car. I also wish it had the old feature of the magnetic sides to make it easier for kids not to get burned by hot metal when they are trying to get into their seat. Living in a very jot tropical state makes that kind of a necessary luxury especially when the car heats up to over 130 degress on a summer day. Looking for the beat car seat out there then this one would be hard to beat! Love the material they use one this seat, sturdy and easy to wipe off. Car seat is wonderful and Ill continue to purchase from Albee because they are easy to use and great price! We have 4 of these! We have 4 kids ages 5, 4, 2 and 16 months and are on our 4th Clek foonf. Love these seats! They're so safe and I feel really secure with our kids in them. The 2017 has a major improvement in the shoulder pads and crotch pad from the previous versions. Shoulder pads are bigger and the crotch pad doesn't fall off and is more comfortable. Can fit 3 across our car. Highly recommend! Best Uses3-across in a small car. I have the 2015 model for my daughter (she's now 3 & 1/2) and just purchased the 2017 for my son who is 10 months old. We just turned my daughter forward facing because we moved her into the 3rd row of my SUV and I wasn't able to see her as easily, but she still had plenty of room to grow! Love the anti-rebound bar it has as well. This seat is a little heavy in my opinion, but it is easy to install and very easy to use. The fabric on this seat also is very easy to keep clean. My daughters seat still looks brand new. Bought Fllo before because of size an height issue, Ford Focus hatchback sometimes. With second child, buying minivan and bought Foonf thinking size no longer issue. Did not buy minivan yet but fitting Foonf behind passenger side and Fllo in middle, no issues. Anyone over 5'4" not a chance in passenger seat, however I absolutely love the recline on Foonf and would have bought in first place instead of Fllo, not much taller. Yes heavy but extended rear facing is big for us. Very pleased with this seat! We have 3 children 3 years and under and a midsize crossover vehicle with 2 rows of seating. Therefore, we had to find seats that would safely fit 3 across in our back seat. The Clek Foonf has a slim profile and works great for this purpose. We currently have an infant seat plus 2 of these. They are also very stain resistant and comfortable for our children. We are very pleased with this purchase. The best carseat in the world! If youre from California, this is the one u need, (pls check the carseat law in CA) n the best part too is spill proof!!! Foonf there it is!! This car seat is totally worth the price!! It's very sturdy, easy to install rear facing and forward facing. No doubt its little expensive but its worth every penny, extremely safe and sturdy. Installation is little different than other car seats as there are so many options. As a parent you feel quite secure that your kids are sitting in a well-built car seat. After a lot of research, we decided to purchase the Clek because of it%uFFFDEtms highly rated safety features. The car seat was easy to install and I love the modern look. I was worried that my son would be uncomfortable because of the narrower seat base but he has already taken a few very comfy car naps. Happy with this purchase! Love the color and the safety features! After a lot of research, we decided to purchase the Clek because of it%uFFFDEtms highly rated safety features. The car seat was easy to install and I love the snowberry color with the white base combo! Dimensions: 28" x 17.5" x 16"
What's new for 2015? 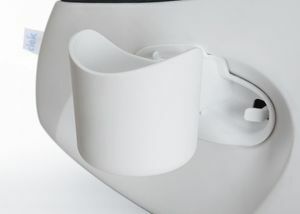 :An extra lower harness position that was added to optimize use with the Clek infant insert (coming soon!). FOONF IS RATED UP TO 50 LBS. WHEN INSTALLED REAR-FACING AND ENGINEERED TO PROTECT IN SIDE-IMPACT COLLISION. 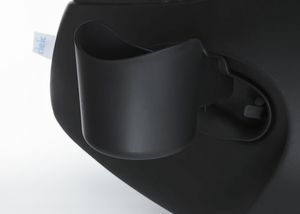 Energy-absorbing foam-lined headrest connected to frame using steel rods provides maximum head protection in a side-impact collision. Foam layers on both the inside and outside of the frame protect your child by absorbing energy in a side-impact collision, resulting in less force directly upon your child. Foonf is reinforced by a steel and magnesium sub-structure. In rear-facing mode, Foonf?s anti-rebound bar improves stability by limiting rotation of the child seat, helping protect your child?s head from impact in the case of a collision. FEATURING CLEK?S SIGNATURE RIGID-LATCH INSTALLATION AND A NARROW WIDTH PROFILE, FOONF ACTUALLY MAKES A PARENT?S JOB EASIER. Over 80% of child seats in North America are not used properly. Hands down the easiest forward-facing installation in its class, Foonf?s Rigid-LATCH system makes proper forward-facing installation effortless. Unique design improves rear-facing installation in smaller vehicles by taking up less fore-aft space. Additional layers of thick foam padding make for comfortable rides and protects against numb-bum syndrome! Foonf includes an easy-to-engage, smooth recline function, making each ride more comfortable. Permanent protection against stains, moisture and bacteria. The only thing this fabric doesn't resist is easy cleaning. Fabrics are removable too. For-AFT Measurement in Rear-Facing: 33"
Height Measurement in Rear-Facing: 25.75-28.5"
Seat Weight in Forward-Facing: 30 lbs. Seat Weight in Rear-Facing: 34 lbs.